New. 2013. Paperback. Num Pages: 384 pages, About 6 black and white illustrations integrated into the text. BIC Classification: VFXC. Category: (G) General (US: Trade). Dimension: 153 x 234 x 28. Weight in Grams: 508......We ship daily from our Bookshop. New. Trade paperback (UK). 384 p. About 6 black and white illustrations integrated into the text. Paperback octavo, very good condition, bump top of spine, minimal edgewear, edges & pages lightly toned, top corner tip rear cover bent. 371 pp. The American author has worked with a large team of boys aged between 11 and18 years to create this book. 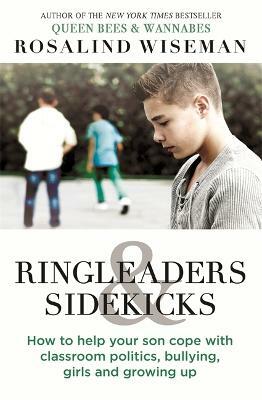 Includes innovative strategies to help you deal with a range of issues, from video games, online identities and body-image worries, bullies, school and girls.